Many of the individuals are unfortunate to have their limbs functional. Many medical attempts also fail to bring ability in the disabled. But for such individuals Exoskeleton gloves raise hope in carrying out their daily movements easily. This exoskeleton gloves senses the palm kinetic stimulus with the help of a processing system, pressure sensors that runs an algorithm based precision motor mechanisms to hold up the users force and enhance it much better for the functional movements. 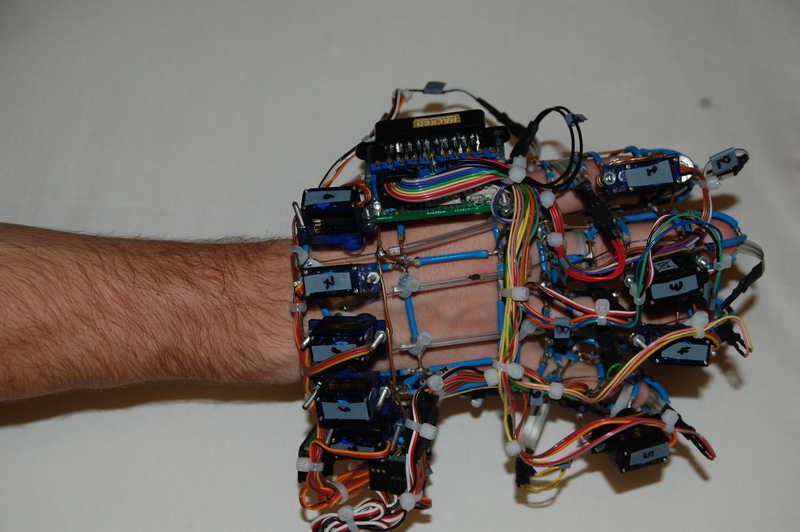 This wonder glove was invented by a school student, Charalampos Ioannou, who aims to pursue Electrical Engineering in his future.